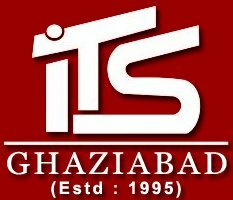 Institute of Technology Science ITS Ghaziabad is approved by AICTE, Ministry of HRD, Government of India and was started in 1996. It has been designed as an intensive two year, full time programme and aims at creating a strong academic foundation to provide young thinking mind the power to shape their thoughts and develop management aptitude. Hence, I.T.S Mohan Nagar Ghaziabad Admission, the PGDM programme has been created from the feedback, ideas, and inputs given by leading practicing managers and academicians world-wide, who are experts in cross-functional areas. Approved by All India Council of Technical Education, Ministry of HRD, and Government of India. Equivalent to MBA of any Indian University by Association of Indian Universities (AIU). Accredited by National Assessment and Accreditation Council (NAAC) with ‘A’ Grade. ISO 9001:2008 certified by EQFS. Authorized center for Ph.D Programme, APJAKTU. Best Placement Award for Business College – 2016. Best Management Institute for Careers & Corporate Resources in India – 2016 by ASSOCHAM. Active Corporate resource Center assists the students in providing final placement and summer training- 100% placement. Vibrant Industry and Institute interface through guest lectures, industry visit, corporate mentoring etc. A strong team of qualified, experienced and devoted full time faculty members. Well stocked, air-conditioned and also fully automated library. ITS Ghaziabad in Four National Seminars also on Marketing, HR, Finance and Operations in a year. Student managed clubs and extracurricular activities. Hostel within campus also with facilities for excellent standard of living – separate hostels for boys and girls. Facilities for outdoor and indoor sports like lawn tennis, snooker etc. along with well equipped gymnasium. Full time medical support on campus including hospitalization. Bank loan facility available from Syndicate Bank, IDBI Bank, Union Bank of India & Others. Only B-School in northern India having focus on Business Intelligence Lab or even more. The candidate must have also minimum 3 year’s Bachelor’s Degree or equivalent qualification obtained by the candidate must entail a minimum of three years of education after completing higher secondary schooling (10+2) or equivalent. Candidates appearing also for the final examination for the Degree Bachelor’s (or equivalent examination) can also apply, subject to furnishing evidence to that effect latest by 1st October ; otherwise they may be ask to withdraw from the Institute of Technology Science ITS Ghaziabad programme. All applicants for admission to the Management Programmes are require to take also MAT / CAT / XAT / ATMA / JMET / CMAT or any other national level test. Candidates are also require to register at I.T.S Ghaziabad 2019 PGDM Admission through an Application From which can be obtain from the institute’s counter or can be download from the Institute’s website and submit along with require documents at I.T.S Ghaziabad. After registration, an appropriate date of GD and Interview also will be communicate to the candidate. Final Admission will be offer on the basis candidate’s also performance in Admission Test, Group Discussion, Personal Interview and Academic record. Candidates who are finally select for admission to ITS will be notification by admission letter. Institute of Technology and Science I.T.S Mohan Nagar Ghaziabad Admissions provide in Best Management course in Delhi-NCR top and cheap fee in Best MBA Colleges in ghaziabad.